Bring the roaring twenties back to life when you wear our Ladies' Zombie Flapper halloween costume. 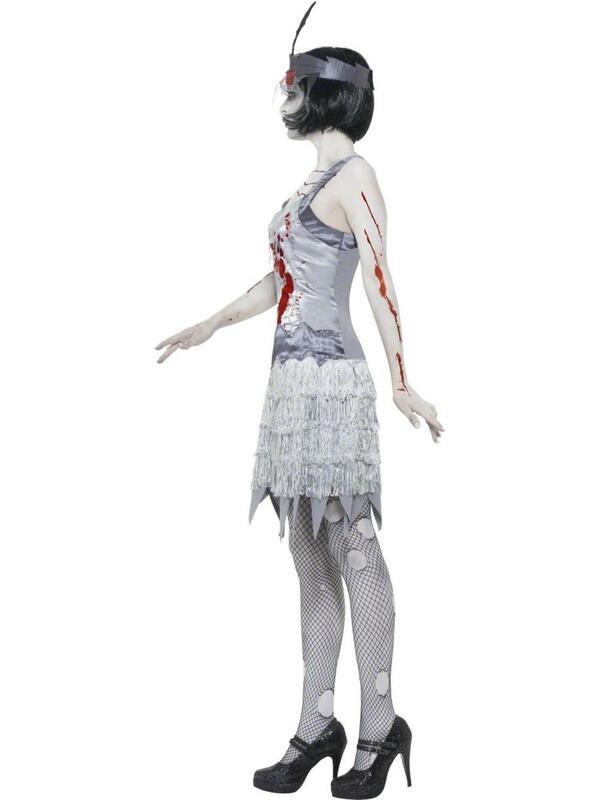 The gory flapper outfit comprises of a ghostly grey dress decorated with a blood splatter print to the bodice, attached belt with silver tassels and a sharp jagged hemline. 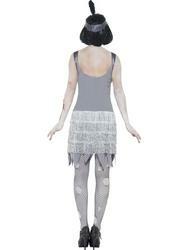 Completing this 20s fancy dress is a torn effect headpiece with blood print and attached black feather. 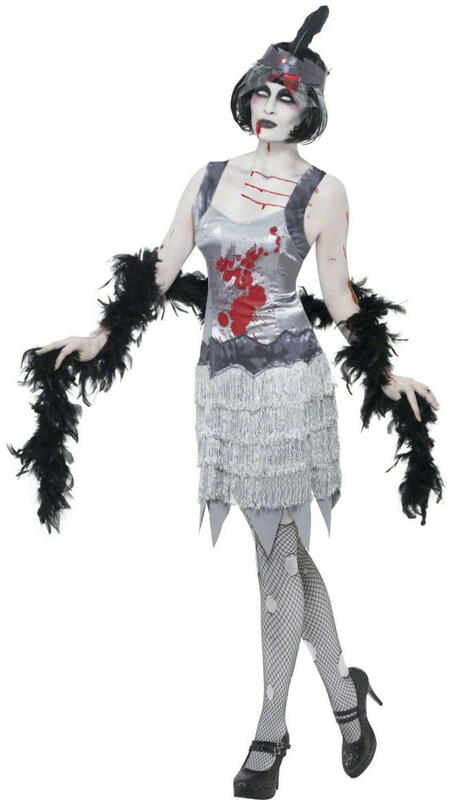 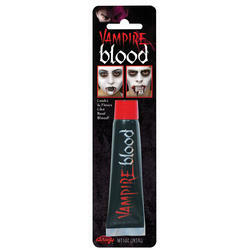 Look frighteningly fantastic at any 1920s or Halloween themed fancy dress party.